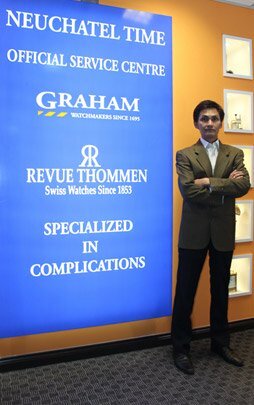 Neuchatel Time ( NTime ) has 25 years Professional Experience in Horology, today work in Hi-tech Laboratories, one-stand watch service centre, restoration service for Watch and Antique Clock at our workshop in the Humble Garden Shed at Malaysia. For Overhaul Service of Watches, our Company provides 24 months warranty and 12 months warranty for Antique Watches & Clocks. Please refer to our terms and conditions.